Over the last couple of weeks, the topic of homosexuality and gay marriage have dominated news cycles, Facebook threads and every blog under the sun. Up to this point, I have been hesitant to wade into the dark and dangerous waters of this topic, but I have heard something stated again and again during the discussion which I think we, as Christians, need to consider more carefully. Of course, that statement is true. 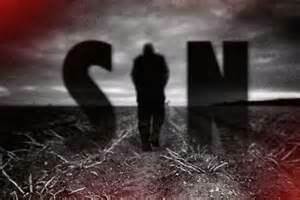 Sin is sin. Sadly some Christians believe – or at least give the impression – that homosexuality is worse than other sins. They are shocked and outraged by gay marriage, but barely blink an eye when a heterosexual couple moves in together before marriage. They are disgusted by homosexuality, but laugh off their own stubbornness, pride and gossip. Many proponents of homosexuality and gay marriage are quick to point out the double standard and what they consider to be hypocrisy. So in the debates and discussions, we are often reminded that homosexuality is no worse than any other sin. In other words, we shouldn’t be so shocked or disgusted. Yet, the Bible calls homosexuality “detestable,” “degrading,” “shameful,” “unnatural” and “indecent” (Leviticus 18:22, Romans 1:24-27). When God speaks of homosexuality, he does so in outrage and disgust. Our problem isn’t that we overstate the wickedness of homosexuality. Our problem is that we often understate the wickedness of other sins. “Homosexuality is no worse than any other sin.” As Christians, we shouldn’t respond to that statement by treating homosexuality as any less evil. We should respond by showing the same shock and disgust for other sins, including our own. In God’s eyes, a boyfriend and girlfriend sleeping together before marriage is detestable and degrading. The little white lies you tell your boss or your wife are wicked and evil and deserve the horrors of hell. Every dirty thought is shameful. Every ugly word disgusts God. Every sin is evil. The sin of homosexuality should disturb and sadden me, but so should my own gossip and pride and selfishness. Sadly, we so often shrug off our own sins as no big deal. “At least I’m not as bad as Joe Shmoe over there,” we think. Yet God utterly detests my sins. They are dirty and disgusting and deserving of hell. The Apostle Paul understood how deplorable his sin was. The greatest missionary the world has ever known confessed, “Christ Jesus came into the world to save sinners – of whom I am the worst” (1 Timothy 1:15). That is the truth we boldly confess as Christians. That is how we avoid the accusation of double standards and hypocrisy. We preach the law in all its condemning power. We don’t speak of homosexuality as any less evil. We just make sure we treat our own sins with the same disgust and shame. And then we cling to our Savior Jesus who came to save detestable, shameful and deplorable sinners like you and me.